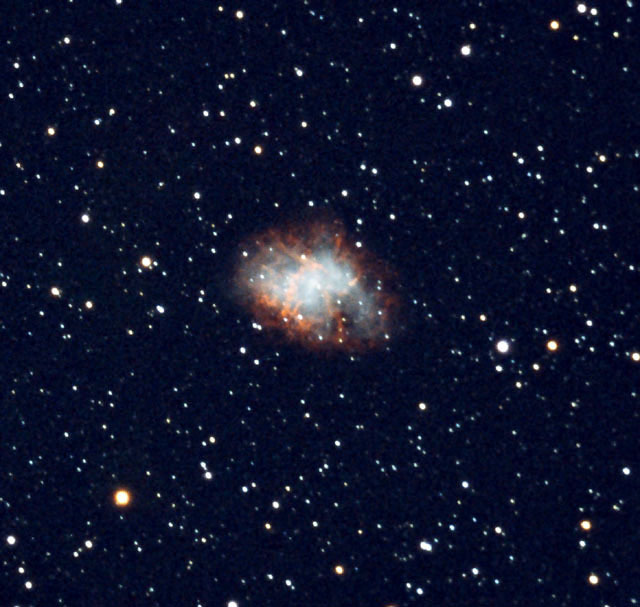 The Crab Nebula in Taurus is the remnant of a supernova that was observed by Chinese astronomers in the year 1054. I was surprised how well this image turned out considering the clouds that prevailed that evening. The differential refraction by the clouds did increase the guiding errors in RA.